Health and Peace from Haiti on this last day of the Easter Season – Pentecost Sunday. While celebrating the Easter Vigil at San Michel Parish in Port au Prince I gratefully reflected on the many people who have supported the work of SOS DRS. With your support and prayers, we have been able to provide health, healing, and hope to many Haitians. Thank you. We are now preparing to help Haiti even more. SOS DRS recently moved its offices to Miami. This will facilitate our international mission, especially our work in Haiti. Support San Michel Schools and SOS DRS this Pentecost! Today our expanding work in Haiti includes increasing our support of our local parish, San Michel, and its schools. We have been supporting children there through our sponsorship program for 2 years now. SOS DRS pays the tuition of earthquake-affected students in the slum to attend one of the 5 schools at San Michel. 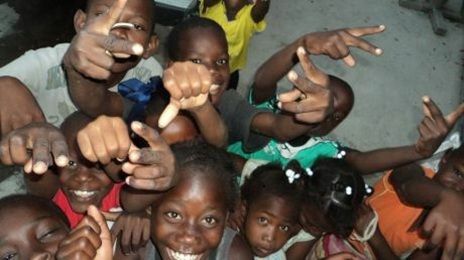 There are now 1200 Catholic Haitian students being taught by 33 teachers in the schools of San Michel. Most meet on the grounds of the Parish because 2 school buildings were destroyed by the earthquake. Similarly, there is now a significant lack of health services in the area around the Parish – one that we hope to help remedy. The Archbishop of Port of Prince has asked us to help the schools and the Parish even more. We would like to do that. But we need your support. Help us be instruments of Divine Mercy at San Michel this Easter Season. How can you help support the education and well-being of students at the schools of San Michel? 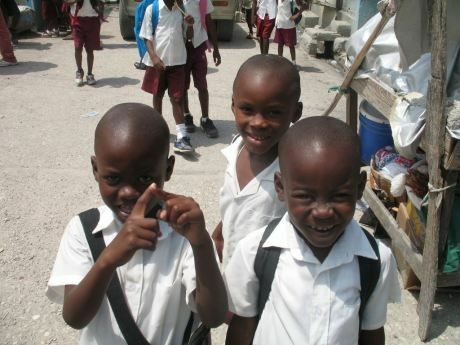 $25 sponsors 3 Haitian grade-school students for one year [tuition and access to a food program]. $50 will provide medical support for a student and his family. $75 will contribute significantly towards the salary for one of the 33 teachers. $100 will contribute significantly towards the monthly salary of a school nurse. $500 will go into our disaster relief fund and help us to respond immediately to disasters and to new outbreaks of disease like cholera in the community surrounding the school. $1,000 would support 120 grade-school students for the whole school year (tuition and access to a food program). You may donate by check or on-line. The following link will direct you to the CTF/SOS DRS website where your donation will be processed through PayPal. If you do not have a PayPal account you will need to set one up. It is relatively easy. Feel free to indicate exactly how you want your donation used by making a comment in the “note to seller” box. And consider becoming a monthly donor. Make your check payable to: SOS DRS:to designate your gift to the children of San Michel please write San Michel Schools on the memo line of the check. SOS DRS is a non-profit organization and all donations may be deductible. About SOS DRS: SOS DRS is a registered 501(c)3 organization in the USA and is an integral part of the Camillian Task Force, the international disaster relief organization of the Ministers of the Infirm, the Catholic Order founded by St. Camillus de Lellis in 1590. SOS DRS serve the medical, pastoral and humanitarian needs of people affected by man-made and natural disasters. 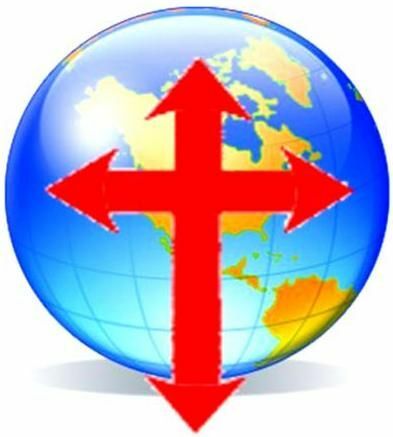 S OS DRS is composed of lay people, priests, brothers and sisters who evangelize through healing and witness to the Catholic Faith. This entry was posted in Divince Mercy Chaplet, English. Bookmark the permalink.